Whether you want to prepare the traditional Christmas Goose or enjoy a wonderful bird anytime or year, the open fire is the way to go. Domestic geese are so heavy in fat that you need to be able to allow that fat to drain away during the cooking. The grill and the smoker let you do that easily. A store-bought goose will weigh in anywhere between 6 and 20 pounds. The smaller, younger birds are generally considered better tasting. However, you will need to plan on about 1 1/2 pounds of precooked weight per person. Once the fat has been rendered, and the meat carved you will get considerably less bird than you paid for. Because there is going to be a lot of rendered fat be prepared to catch it. Whether you are using a rotisserie, grilling grate or putting the bird in a smoker, you will want to put down a pan to catch the fat. When cooking, you will want to grill indirectly. It's very easy to grill a goose. After all cooking, a goose over an open flame is the tried and true method. Start by letting the goose warm up for about 30 minutes. Wash and pat dry with paper towels and season to your liking. A little salt, thyme or sage and perhaps some lemon juice will suffice. If you are using charcoal, you will want to use about 4 to 5 pounds. You might have to replenish the fire after an hour or so. Expect to be grilling for about 2 to 2 1/2 hours for a 15-pound goose. The bird will be done when the internal temperature reaches 180 degrees F. Let it rest for 10 to 15 minutes before you carve and serve. 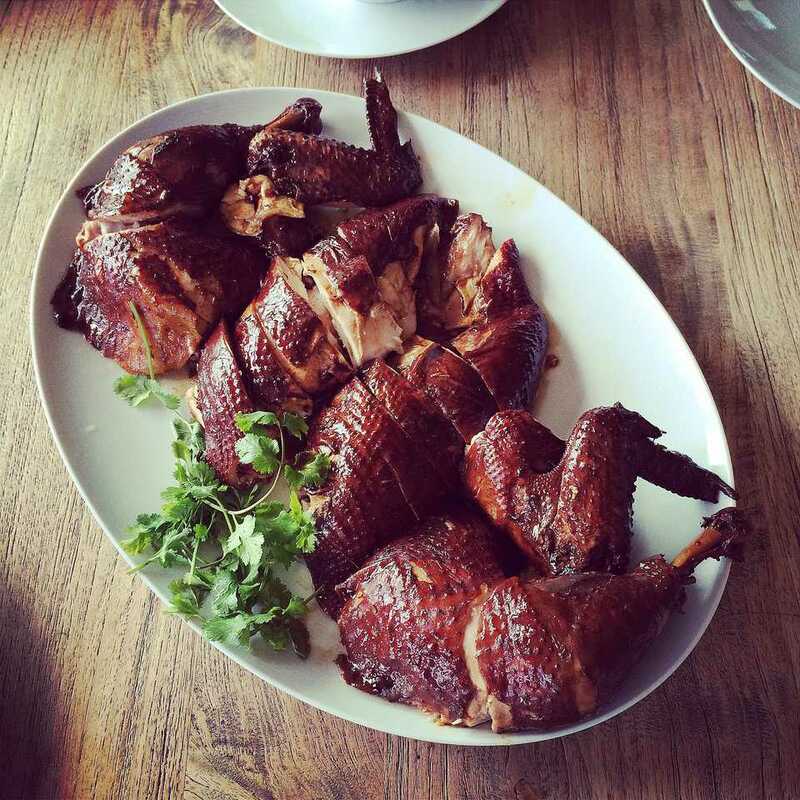 When smoking a goose, plan on about 30 minutes per pound. Because of the fat, you need a good smoking time to let that fat out. The problem with smoking geese is that the skin remains soft and not very pleasant to eat. A good idea is to place you nearly cooked goose on the grill or in an oven at about 350 degrees F. This will brown the skin and allow it to become crispy. What Is a London Broil?